In April 2011, reader GS collided with a Mercedes in a medical centre car park. Both cars were travelling at around 2 to 3 mph. They exchanged insurance details and GS thought no more about it until he received his car insurance renewal in June. 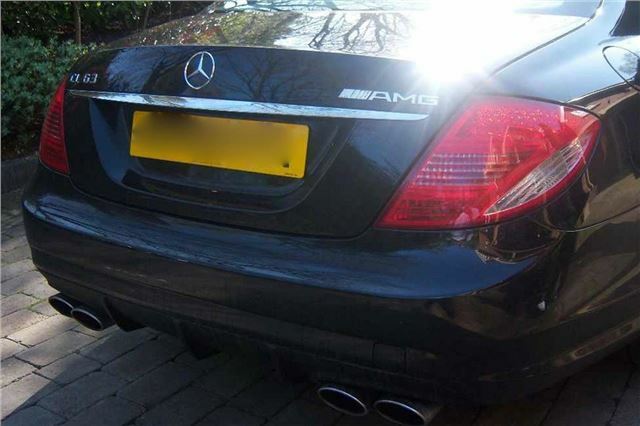 Unfortunately, though the damage was no more than a scratch, the car that GS collided with was a rare and expensive £115,000 Mercedes CL 63 AMG. The other party had placed the matter in the hands of an accident management / credit hire company that clocked up costs approaching £20,000, which included £13,000 for the 32 day hire of a replacement car. The reason given for the 32 day car hire was that Mercedes spare parts division had taken this long to deliver all the parts. Had taken the information “at face value”. GS suggested that they should ask for a copy of the body shop's parts requisition which went to Mercedes as by this time he had spoken to them and they told him that if they were sent a copy of the order, they would be able to verify if there had been a long delay in supplying parts. Quite why it was necessary to hire another car anyway when the CL 63 AMG was perfectly roadworthy and drivable is another matter entirely. checked this out and as the name of the driver of the Mercedes was already in the public domain, Data Protection simply did not apply. GS felt that the body shop obviously has its own reasons for not being perfectly happy to provide the information. First they said they couldn't because the matter had been settled – with the exception of the personal injury aspect - but they have now had a change of heart. They informed GS that they are doing this to give him an insight into the integrity of the credit hire company. GS was also informed that the accident management / credit hire company would be making a claim for personal injury. Today, one year 4 months later, no claim has been made but GS is assured that there will be one. Is there not something a little odd about that? GS previously gave an indication of the speeds at which the two cars were moving within the confines of the medical centre car park and he has insisted that before Zurich considers any personal injury claim, they should have one of their people visit the car park and see for themselves how unlikely it would be for there to be any serious injury. They have agreed to do this and GS will be meeting their representative at the car park. In looking into this affair, GS was struck by the fact that Zurich had made no enquiries into this. To quote them, they took the accident management / credit hire company's claim “at face value”. GS would like to point out that he has nothing to gain personally from this. His file will continue to show a large claim. However, he was spurred simply from the realisation of just how easy it is for accident management / credit hire companies to get their claims settled by the large insurance groups. He has spent hundreds of hours on this and can see why it is obviously easier, quicker and cheaper for the insurance company simply to settle quickly. Over this period of a couple of months, he have been passed to three different people and only now is he making any kind of progress. Why don't you name the Credit Hire Company? They are not all rogues and there are some extremely good and honest ones. You fail to mention that Insurance Companies account for 80% of referrals to PI companies and get a kick back for doing so Only 20% are referred by Accident Management Companies or drivers appoint their own solicitor to handle the claim. Is this column funded by an insurance company or do you work on a commission - seems to me you would be better spending your efforts and time investigating the insurance companies who actively deny the policy holder the right to choose where they have their car repaired by charging them 'An Admin Fee' if they choose to take their car to a bodyshop of their choice and not one of the insurance companies 'preferred bodyshops'. I wonder how many of your readers have checked their policy and found that little clause? I've had this issue before. I refused to pay an admin fee as it is not legal despite being policy small print and insisted I took it to MY preferred body shop as the nearest main one used by insurers costs more and did a rubbish job on a previous occasion. I am the customer, I pay the insurance therefore I chose my repairer. Two years ago my Jaguar XF was hit by a van whilst parked in a motorway service area. Fortunately I witnessed the accident. I immediately notified my insurance company, who put me in touch with their claims management company. They were very keen to stress that they would supply me with another Jaguar whilst my car was being repaired. Trying to do my bit to keep insurance costs down, I explained that I was shortly going overseas on business for a week, and that if the car could be repaired whilst I was away, I would not need a replacement hire car. They did not like that idea, and kept on trying to persuade me to accept one. I refused, saying it was not necessary. At that point, they told me that if I did not accept a hire car, they would not help me. In the end, I arranged the repair through the underwriters, and it was done whilst I was overseas. Accident management companies should be outlawed. and am perfectly able to reclaim my losses by myself – which I’ve now done. guess what; yes, you’ve got it, a hire car company. My wife had another driver run into the back of her car at approx 20 mph. She was taken to hospital by ambulance and ended up being signed off work for 2 weeks with a possible cervical disc prolapse and seat belt injuries. Our car has £7000 of damage awaiting repair. Our insurers (Co-operative Insurance) very quickly referred the matter to Albany Assistance who despite being told that my wife cannot drive because of the injuries sustained continue to telephone to arrange for a hire car to be delivered. They also pushed hard for us to purchase a variety of insurance products including a Collision Damage Waiver which sounded like it had more loopholes in it than tin of spaghetti hoops! Clearly there is no point in her accepting the hire car as it is no use to us until she can drive, in the meantime the other driver's insurers, Liverpool Victoria, have offered to provide a hire car free of charge. Once my wife can drive I will take them up on the offer in the interests of keeping the costs down. Also this will mean that it is not in their interest to hold up the repair of the car.